Inspired by Gabrielle Chanel’s original fine jewelry collection featuring feathers and diamonds, the Plumes Precieuses de CHANEL Holiday Collection juxtaposes elegance with eccentricity. Silver and gold shades flutter against fiery reds and shimmering peach tones, enhancing every look with dramatic holiday beauty. 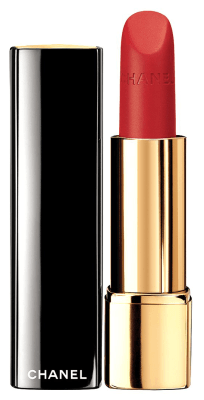 I love the idea that the CHANEL Plumes Précieuses de Chanel Holiday Collection was inspired by Mademoiselle’s jewelry collection! If you’ve ever lusted after CHANEL jewelry like I have, you know the pieces are exquisite. When looking at this collection in person, I’m struck that these are very wearable and flattering colors. And when you wear them in candlelight, or in the evening…they’re magic. 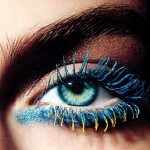 The star of this collection is the Camélia de Plumes Highlighting Powder; it’s stunning. 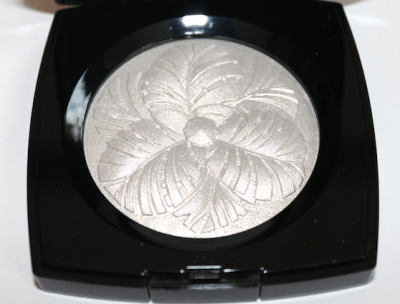 The level of detail in this piece makes it almost too pretty to use, but that would be a shame, because it’s one of the most fabulous highlighting powders ever. When I initially tried it, I was worried that it would be glittery or too much, but it’s not. It’s perfection. The color, while it looks silver, actually wears more silver-gold; hard to describe. Champagne might be the closest. 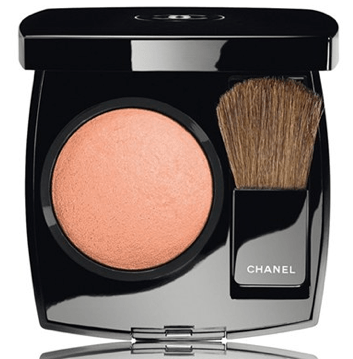 When swept on using the brush that comes with it, the Camélia de Plumes Highlighting Powder imparts a gorgeous glow. In many attempts, I was not able to look like I was wearing too much–and that’s rare with a highlighter. Grab this while you can! 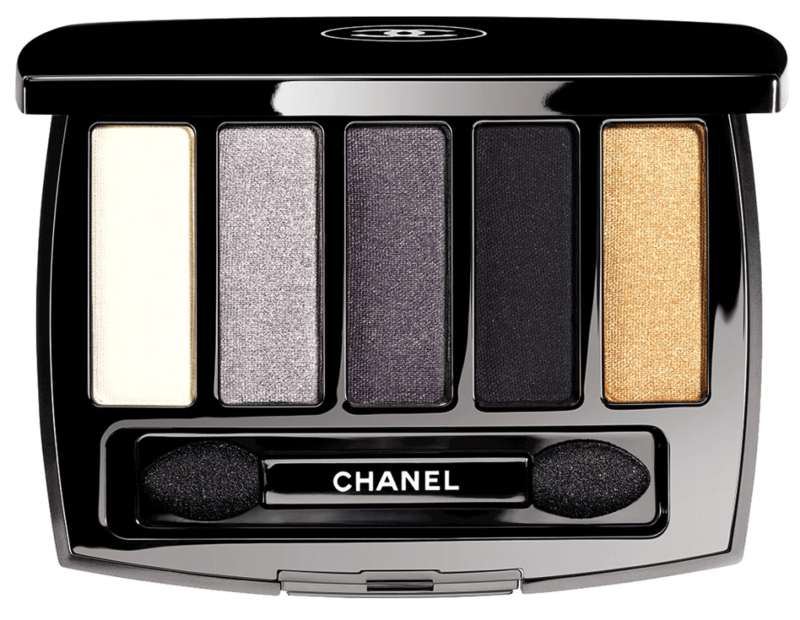 The Les 5 Ombres de CHANEL Oiseaux de Nuit Eyeshadow Palette is also a wonderful find. 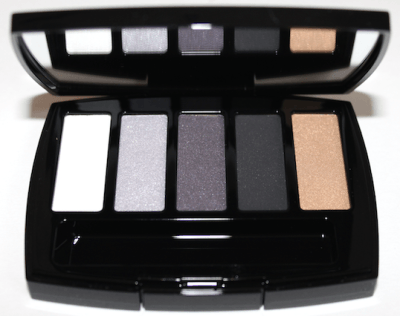 The five shades include Luminous White, Soft Grey Lavender, Intense Grey, Intense Black and Antique Gold. Smoky eyes for the holidays? I’m on board! 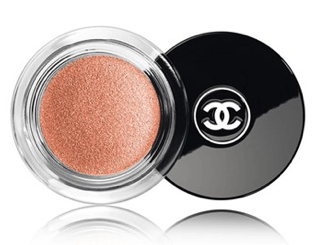 The eyeshadows have good pigmentation, a shimmer finish and work well together. I especially love the Soft Grey Lavender shade. This palette in combination with the soft peach tones of the Joues Contraste Blush, the Illusion d’Ombre and Volage Luminous Intense Lip Colour would be gorgeous. 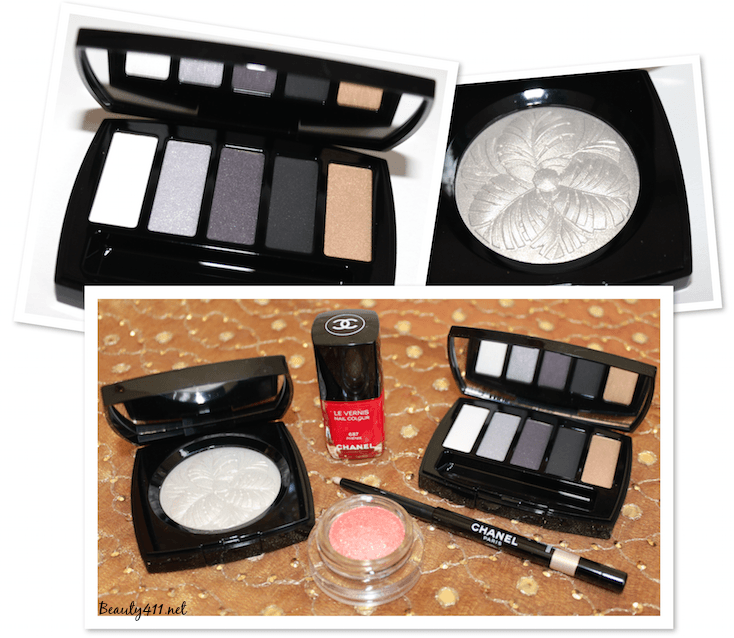 If you are fair-skinned, this is a collection you don’t want to miss! 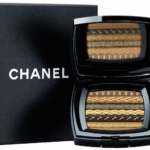 The limited-edition CHANEL Plumes Précieuses de Chanel Holiday Collection is available now at department stores including Nordstrom and on CHANEL.com. If you pick up one piece from this collection, make it the Camélia de Plumes Highlighting Powder; that piece is my must-have! Disclosure: Some press samples have been provided by the brand/PR for editorial consideration, product testing and review. Affiliate links have been used in the post, which means a small commission is earned.